Sugar Cookies with Strawberry Buttercream Frosting- A soft and delicious sugar cookie topped with an amazing strawberry buttercream frosting! 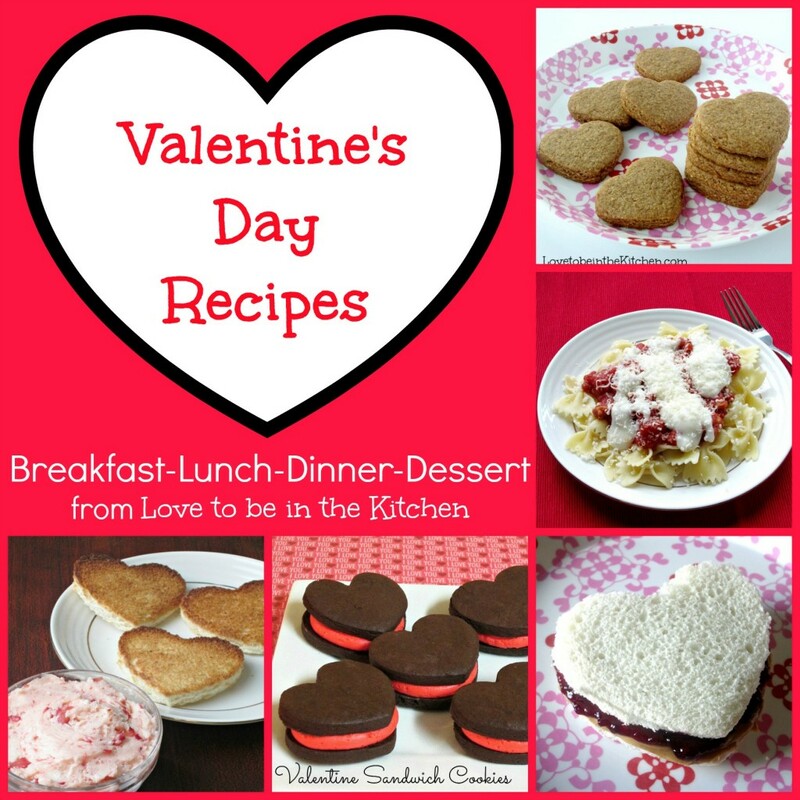 This recipe was inspired when I asked on my Facebook page for some Valentine recipe idea inspirations. One of my readers suggested making a dessert with strawberries. This is the recipe I came up with so thank you Natalie! I love a good sugar cookie. I have been making my favorite sugar cookie recipe for years. I love how simple it is to make and how soft it comes out. My biggest tip for a soft sugar cookie is not to over bake it! Only bake it for 7-9 minutes. It might look slightly underdone but it will set up as it cools and then result in a deliciously soft sugar cookie! I came up with this strawberry buttercream recipe last year for a fun Valentine cupcake recipe I created. I couldn’t find what I was looking for so I created my own basing it off of my favorite vanilla buttercream frosting. Every time I taste it I still can’t believe how good it is! Strawberry buttercream is like nothing else! The flavor is so good! I love the look of it too. It’s so pretty. 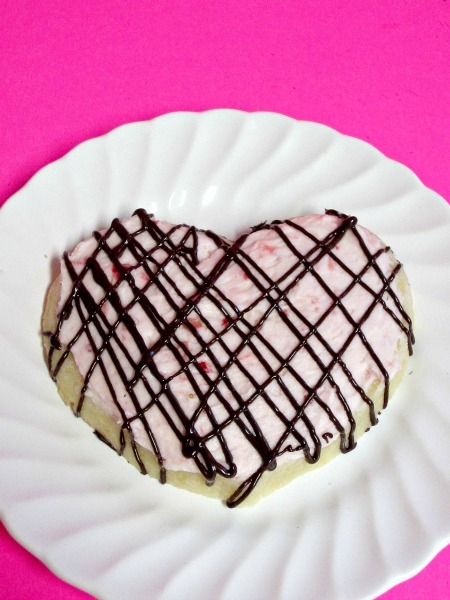 My favorite things about these cookies is you can make pretty Valentine frosted cookies without having to use any food coloring because it’s all natural from the strawberries! When I first bit into these cookies my mind was blown by the flavor! It was the softest sugar cookie and the strawberry buttercream was so creamy and the strawberries in the buttercream gave the cookies such a unique and wonderful flavor. My kids thought these were so fun too! If you want to be extra fancy you can drizzle melted chocolate on top! It makes it more romantic. Sift together flour, baking powder, and salt. Set aside. Place butter and sugar in large bowl of electric stand mixer and beat until light in color (2-3 minutes). Add egg, milk and vanilla and beat to combine. Put mixer on low speed, gradually add flour, and beat until mixture pulls away from the side of the bowl. Roll to ¼ inch thickness between two sheets of parchment or wax paper. After rolling, chill the dough for at least 30 minutes to an hour. Tip: Place cookie sheet with the cookie dough shapes in the freezer for 10-15 minutes before baking to help the cookies not to spread too much. In a standing mixer fitted with the whisk attachment, beat the butter at medium-high speed for about 3-5 minutes. Turn the mixer down to low speed and gradually add powdered sugar and salt; beat at medium-low speed until most of the sugar is moistened, about 1 minute. Scrape down the bowl and beat at medium speed until mixture is fully incorporated, about 30 seconds; scrape bowl, add vanilla and strawberry puree, and beat at medium speed until incorporated, about 20 seconds, then increase speed to medium-high and beat until light and fluffy, about 2 minutes, scraping down bowl once or twice. 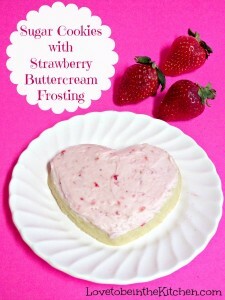 Once the cookies are completely cool, frost with the Strawberry Buttercream Frosting. I love this strawberry buttercream you put on top! Yum!